Coming October 27, 2018. 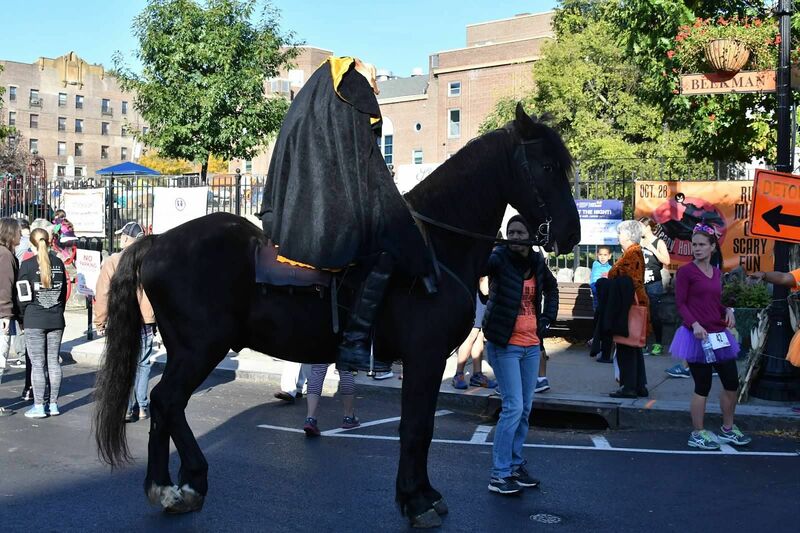 Don’t lose your head to the headless horseman…prepare yourself for the Sleepy Hollow Halloween 10K! This small town (yes, there really is a Sleepy Hollow, as of 1996!) lies on the banks of the Hudson River, about an hour north of New York City. Marked with orange arrows, the challenging course winds through the streets past Ichabod Crane’s old haunts – the Old Dutch Church, Philipsburg Manor, Sleepy Hollow Cemetery, and the Headless Horseman Bridge. It’s a fun race with many runners and spectators in costume. Make the Sleepy Hollow Halloween 10K part of your Halloween tradition!